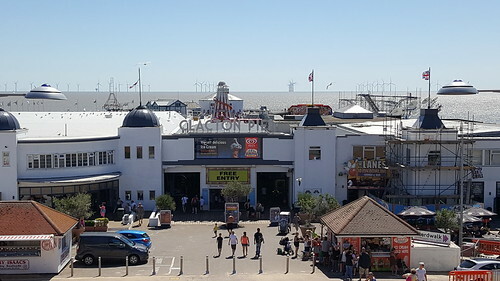 We spent a couple of days in Clacton during the summer hols and checked out the arcades during our seaside days out. It’s been just under two years since our last visit. 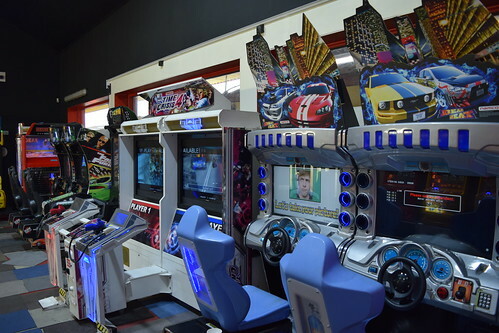 The pier still has a good selection of modern arcade games. 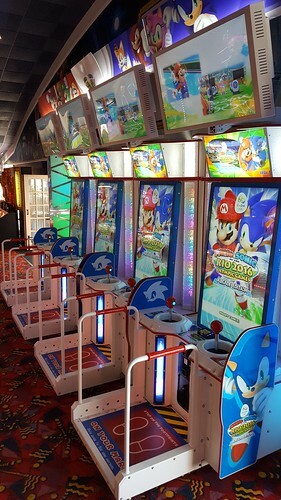 Well who would have imagined Mario and Sonic joining forces in the arcades! The first thing that strikes you is the cool 3D holographic display. 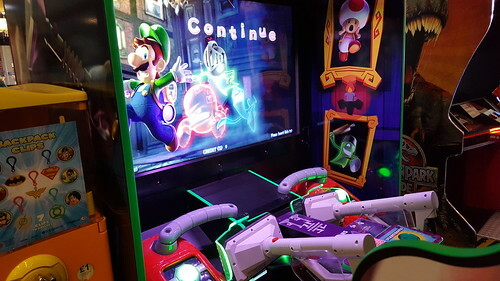 The game utilises a LED projector and enables four-player simultaneous independent play. 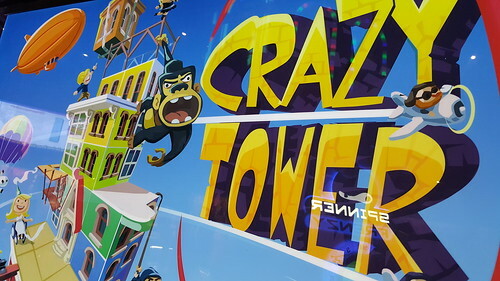 Players are tasked with building a tower and must tap the button at just the right moment as the blocks overlap. If the blocks aren’t perfectly aligned, the size of the next block diminishes until it’s game over. 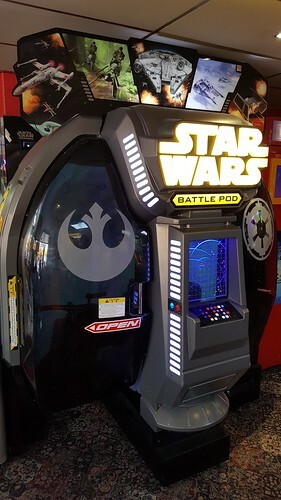 Simple, addictive arcade fun. 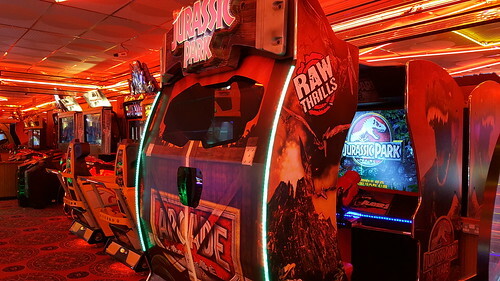 There is an arcade / bowling alley just across the road from the pier with some modern titles. 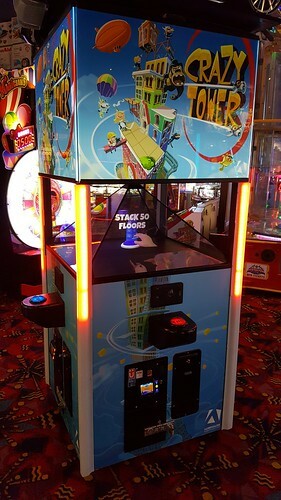 A cool game that’s not seen all that often. I love the Poltergust 3000 vacuum controllers! I was pleased to see this still here. A cool game and pretty uncommon. 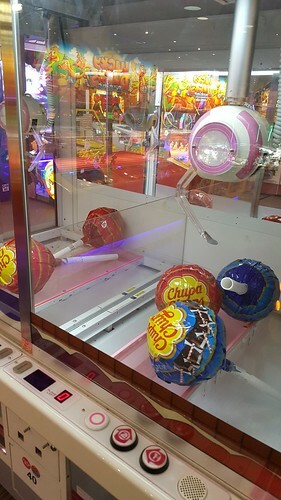 I also tried my hand at winning the worlds biggest Chupa Chup, but no such luck. 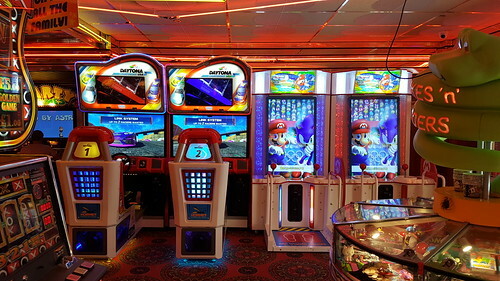 The amusement arcades along Pier Avenue also had a selection of modern titles. 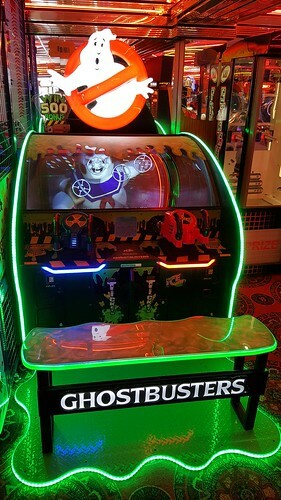 It’s a bit of a novelty game, but I love Ghost Busters, and who can resist shooting ping pong balls at ghosts and the Stay Puft Marshmallow Man! On arrival, I saw a banner proclaiming that the pier is under new management. There have been quite a few changes since my last visit, unfortunately not all of them good. 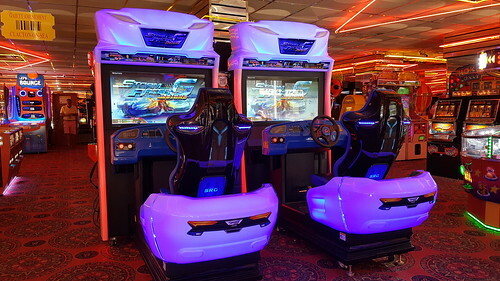 A gambling area for over eighteens has now been set up at the front of the arcade. 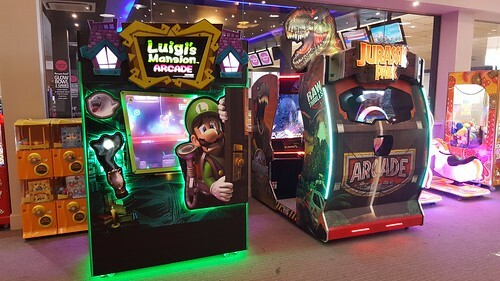 This is seemingly at the expense of the videogames. Quite a few games have now been relocated to the back. 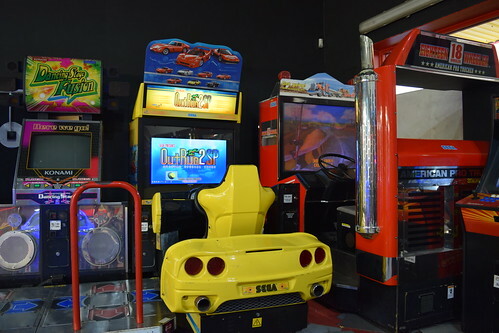 A few older classics, including Manx TT Super Bike, Rapid River and Sega Rally have gone, as well as Tank! Tank! Tank! and Panic Museum 2, two uncommon games. On the upside, there is a lot of OutRun and Ferrari love in the building! The OutRun2S DX is an awesome new addition. 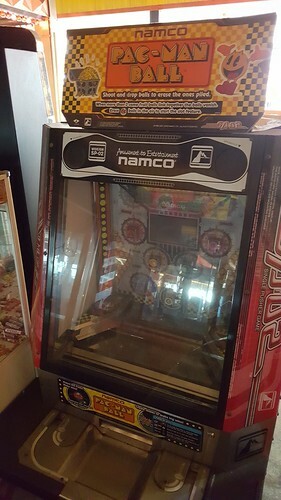 The OutRun2SP is still present at the back of the arcade. 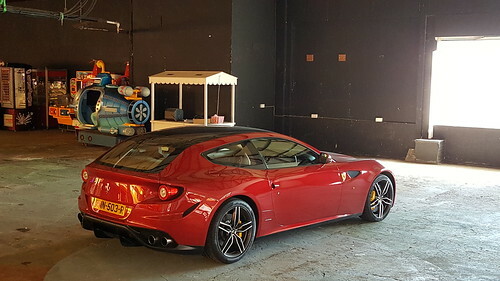 And a Ferrari parked inside the pier! Unfortunately OutRun2SP DX was hampered by a number of issues. 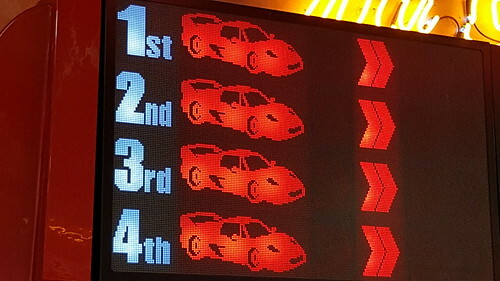 These include dead screen, flickering screen and steering pulling to the right, leaving just one car working correctly. 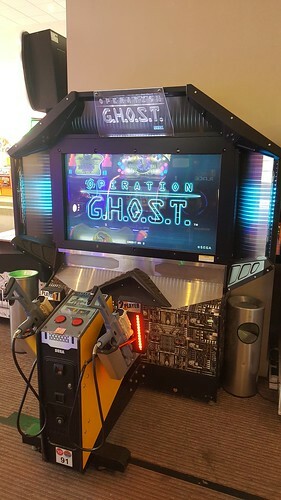 It was the first time I had seen this game. 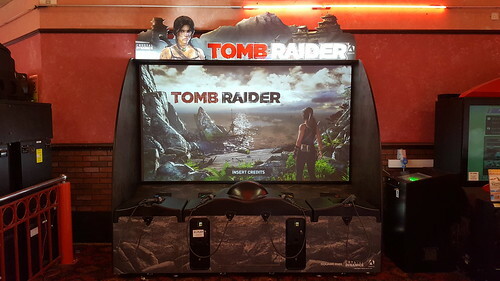 Admittedly I’m not the biggest fan of Tomb Raider. I had the original game on the Sega Saturn and never managed to get out of the first room. 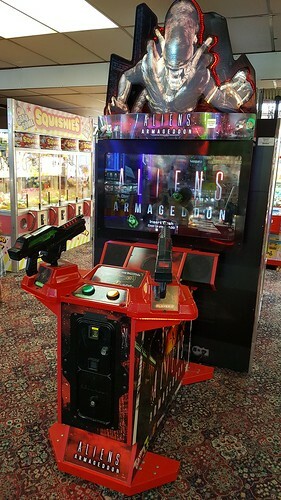 However it was great to see a new arcade shooter. 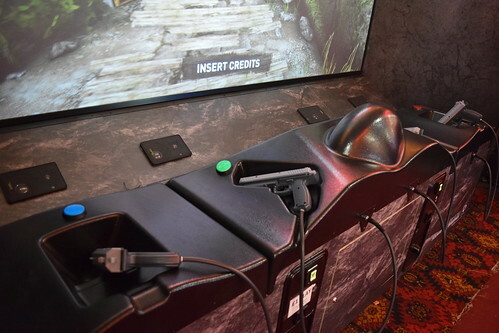 The large screen size and four player option is pretty cool. The guns are reloaded by pulling back the top slide, rather than the usual ‘shoot outside the screen’ mechanic. The first level features wolves attacking you, and the second level introduces human adversaries. Unfortunately enemies occasionally proved difficult to see, with me not noticing some until after I’d been shot at. Also the enemy animation was a bit poor, and the game felt a little uninspired. 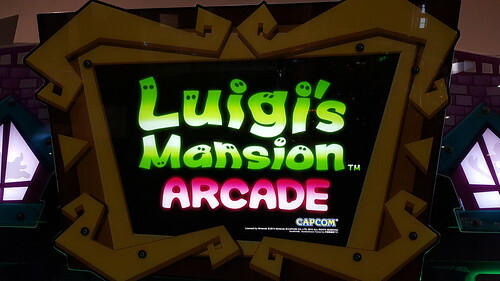 It’s definitely not up to Namco or Sega standards, but we still enjoyed a couple of credits. 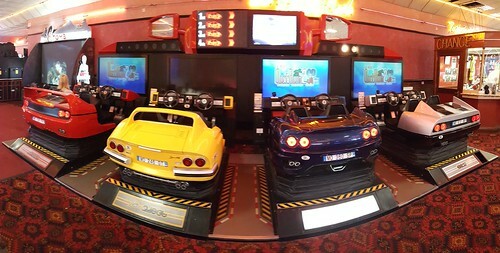 Some more pics of the Walton pier arcade. A small graveyard section tucked away in a corner. 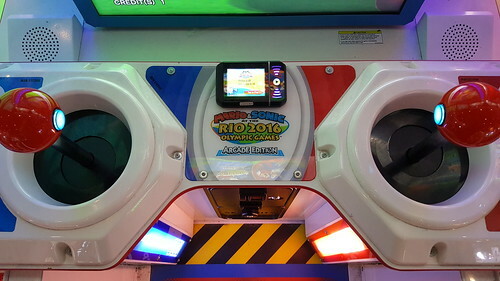 There were no videogames, but I did spy a Pac-Man Ball pusher. It’s a shame some of the older titles have gone. 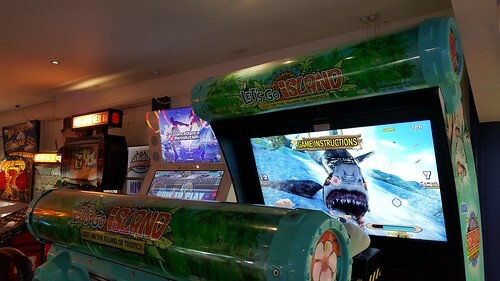 However there are still some decent video games, and with the fairground and beach (tide permitting) it’s a nice way to spend a summers day. 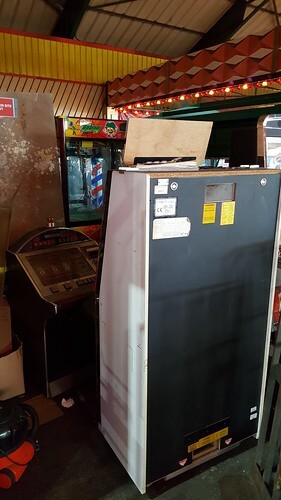 Here’s hoping the OutRun2SP SDX is repaired soon! 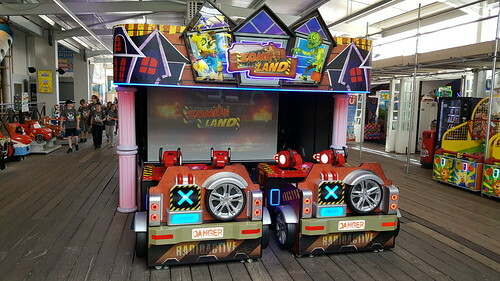 Wow, clacton pier has DDR A now! Could I please use the picture of it? I’ll give credit to this blog! Hi Sam, yes that's fine.